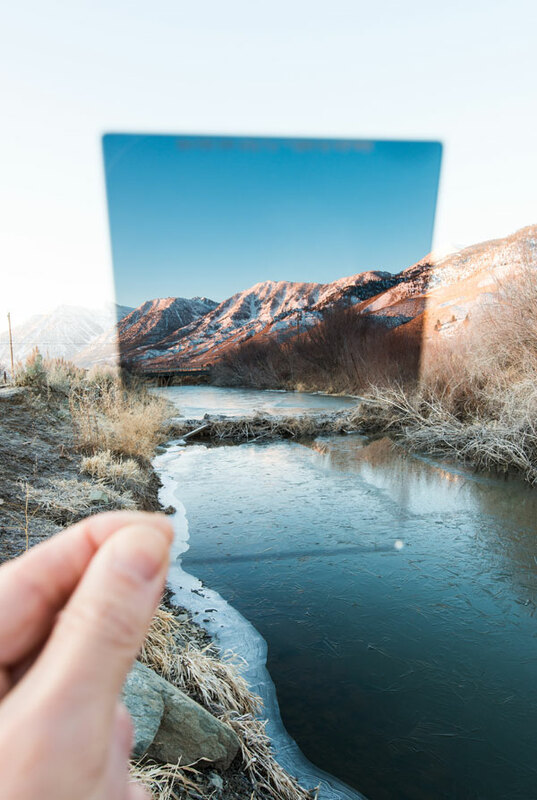 With the advancement of photo editing technology, photographic filters are now obsolete. They are now relics of a bygone era of photography. Or are filters really useless today? Truth is, there are still reasons for using old-fashioned photography filters. These are special glasses that you put in front of your lens. Used correctly, you can produce stunning effects that could take a lot of time or effort to create without filters. Furthermore, when real estate photo editing processes are applied, images become even more amazing! Here are five filters that might be useful to have in your camera bag whenever you go out and shoot properties. A skylight or UV filter is a transparent filter that prevents dirt, dust, grime, or droplets of water from damaging or dirtying your lens. It is a smart and economical way to protect one of the most vital, expensive, and hard-to-replace parts of your camera. Keep the filter on, especially when you’re shooting in dusty, wet, or muddy environments. The glass also filters our some UV light and reduces haze. 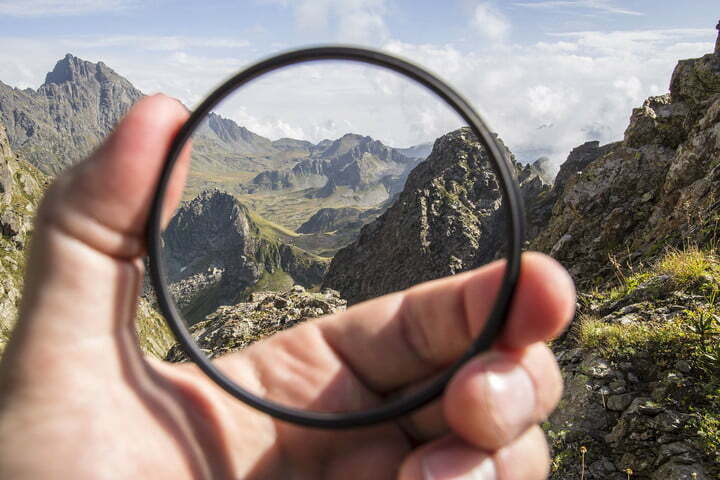 A polarizer usually has a rotating mount. Their effects vary as you turn the filter. Watch the effect through the camera’s viewfinder or rear screen. As you rotate the filter, you will see reflections in water, glass, and other non-metallic objects appear and disappear. A polarizer also increases color saturation. For example, for exterior real estate shots, it darkens blue skies, allowing better contrast between the sky, clouds, and the property itself. 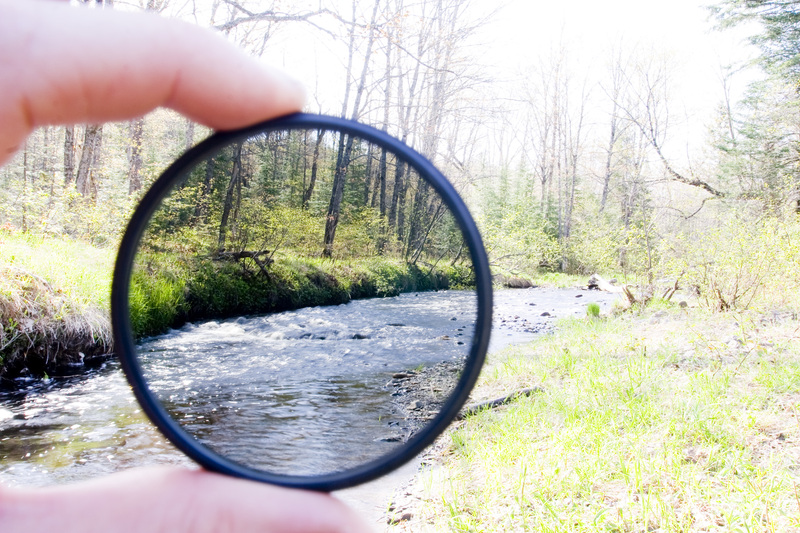 Neutral density filters act as “sunglasses”, reducing the amount of light that enters your camera lens and reaches the sensor. It does this without affecting the colors. Unlike polarizers, you don’t need to position the filter. Furthermore, you can use the focusing and metering systems of your camera normally. Purpose: balances exposures between bright backgrounds (such as a sunny sky) and darker foregrounds. This is a useful filter, particularly when shooting backlit exteriors, for example, when the sun is directly behind the house. The filter has a dark tint at the top and clear glass at the bottom. By placing the dark section of the glass over a bright sky and aligning the transition between dark and clear on the horizon, you can achieve a shot with more balanced exposures between the foreground and background. 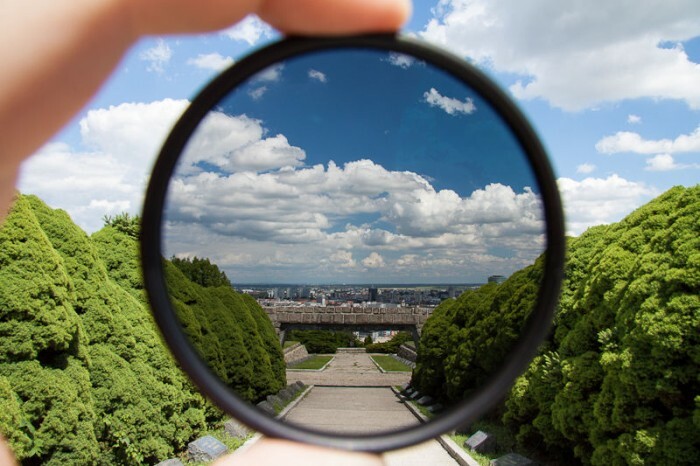 Graduated neutral density filters often come in different strengths in the dark portion and with different transition between the clear and dark areas. Two types of transitions exist: hard or soft. Hard transitions go from clear to dark very abruptly. These are best used to shoot photos with clear and uncluttered horizons such as images of a home with a seascape backdrop. On the other hand, soft gradients have a more gradual change from clear to dark. These are suited for images whose backgrounds have mountains, trees, or skyscrapers above the horizon. It is important to correctly position the filter so that the transition between the dark and clear parts of the filter lines up with the horizon. With this filter, you can adjust the “strength” of the tint by rotating the filter elements. Affix the filter to the lens before framing the shot. Set to manual exposure and focus. Then adjust the filter to its lowest strength, gradually increasing to the desired effect as you compose your shot. You can check the image through your viewfinder or rear screen. 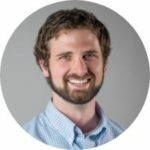 Are you using filters for real estate photography? If not, give them a try! They will surely add more depth and variety to your real estate photos.